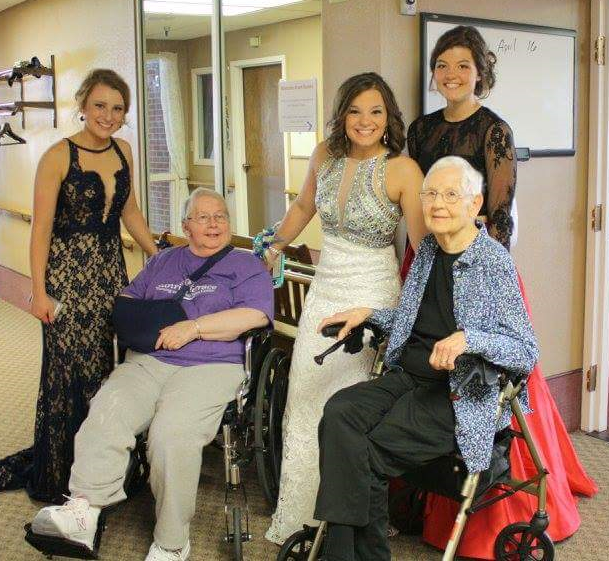 Some of the high school students heading to Prom stopped by at Sunrise Terrace to show off their dresses and tuxes. We always love to have kids come in and we were amazed how wonderful they looked – and how Prom has changed over the years! Thank you to all who took time out of their busy day to brighten ours! Caitlin Jamison won the Casey’s Gift card from the drawing we had for those who signed up.